Millions of people tune in to the Super Bowl every year, with last year’s event drawing nearly 112 million viewers. 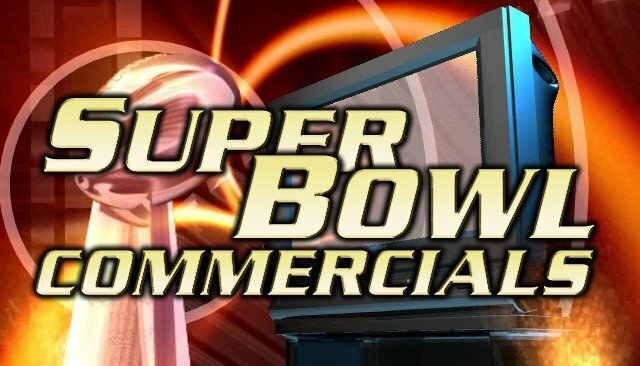 For many, the commercials are the biggest highlight. Besides being entertaining, I have often found the ads can tell us quite a bit about the state of our country, and current marketing trends. At $5.5M per 30-second spot (nearly double the cost of the same ad in 2010), the big companies and wannabes are going to try to get the most creative minds in the industry to help tell their story in half a minute. Sometimes they win and, a lot of the time, they lose. 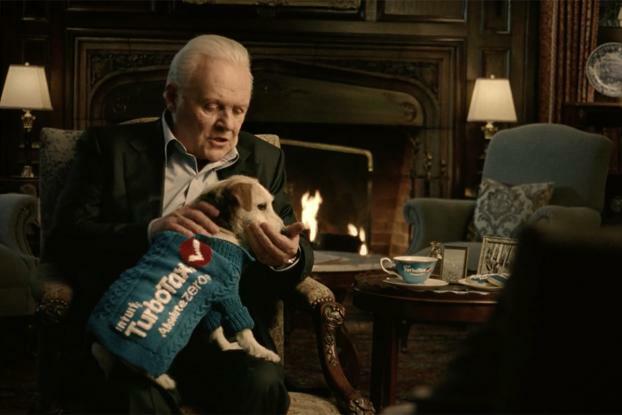 Sir Anthony Hopkins is not selling out in this 2016 Super Bowl ad for TurboTax. Over the years, it has certainly painted a picture of what we like (food, beer, cars, etc. ), but it also tells us what is happening in our society. 15 years ago? The Dot Com companies ruled the night. During the recent recession? Soda, chips, candy bars and fast food – inexpensive comfort items – took prevalence. Two years ago? Sentimental ads focusing on parents, kids and empowerment tugged on our heartstrings. Last year? Brands relied upon respected actors like Hopkins, Neeson, Mirran, Walken and Keitel to build credibility and sway opinion. 2016… What Did We Learn? 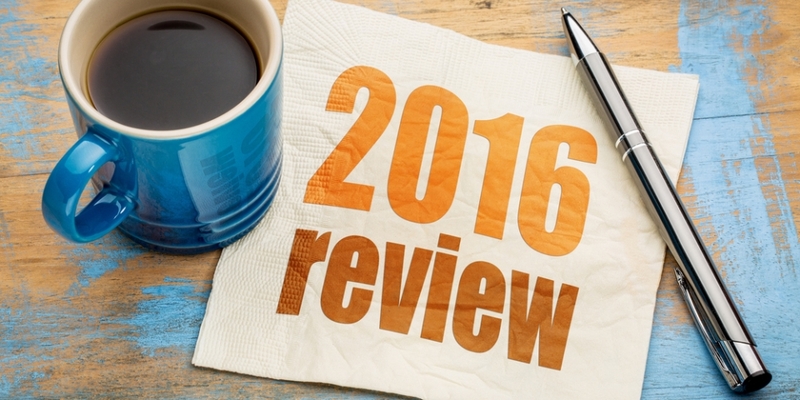 The New Year is a great time for reflecting on the past year and setting goals for the new one. This is great, of course, for personal issues we want to improve. But, what about your business? Have you sat down and really looked at where you’ve been and where you want to go? Last year, did you reach your business goals (gross sales, unit sales, market share penetration, new client acquisition, new locations developed, reduce costs, increase profits)? What do you think your greatest achievements were of 2016? There is a common saying, “Celebrate your successes and learn from your failures.” Personally, I think we can learn from anything… if we ask the right questions. So, what made your victories successful? Sit down and really analyze what made something work. Was it the extensive planning, as well as preparing for various outcomes? Was it the new personnel you hired? Was it you taking a more hands on approach… or less? Was it that social media campaign? That PR blitz? That creative direct marketing idea? On the other hand, what didn’t work? If you could do something different in 2016, what was it? How would you do it differently? My mom always told me, “Never discuss politics, religion or sports.” She was right, of course, as nothing gets people in more heated arguments than the subjects they hold so dear. As a marketing strategist and a person who has spent a career building brands, I understand the psychological hold brand loyalty can have over even the most intelligent and informed people. When I mention words like; ketchup, cola, toothpaste, car, beer, fast food, computer and so on, chances are the brand of the product you are most loyal (or most aware) creeps into your subconscious and conscious brain. Some brands we may be loyalty to, while others we can be swayed by new data (opinions, reviews, advertising) or offers (deals, coupons), among other things. The same can be said for matters more important than what we consume, such as the political party we side with, the religion or faith we practice, or the team we support and root for. For the most part, these topics are heavily weighted in our core being and it takes something drastic to change our minds. Which brings me to the impact brand loyalty will have on America (and the world) this fall: the elections. In less than 60 days, we will be electing a new President, as well as one-third of U.S. Senate seats, all U.S. House seats and many statewide elections. Many Americans will vote simply based on brand loyalty. Does this concern you? It scares me. Another thing my parents taught me was to vote my conscious. Over the years, I didn’t allow the party to dictate my vote. Rather, I have researched the candidates and looked at their voting record, read their statements and did my best to shift through the facts. If I didn’t know enough about a candidate, I simply didn’t vote for that position. Has it been perfect? No, but I do feel like I am making an informed choice rather than simply voting because I like the brand. 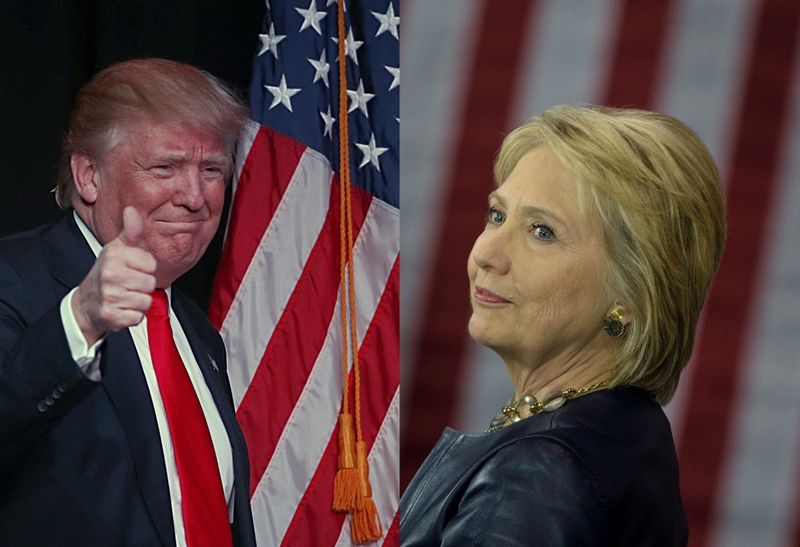 Surveys show most Americans have made up their mind when it comes to the Presidential election, and all the social media posts, commercials and debates will do little to change their minds. Only about 10% of the population remains undecided at this point. To those still deciding, I hope you do your due diligence and vote your conscious over the brand. Brand loyalty is an amazing thing. And as a brand strategist, I could talk about it for hours should we meet over lunch or drinks some time. And just as passionate I am about building brands, I could go on about how important my faith is to me, or how fanatical I am about my favorite sports team. In those, I am brand loyal for life. But, regarding politics? I think I’ll stick with my mom’s advice. You are rocking the social media world. You’re getting liked on Facebook, re-tweeted on Twitter and your inbound links are multiplying. 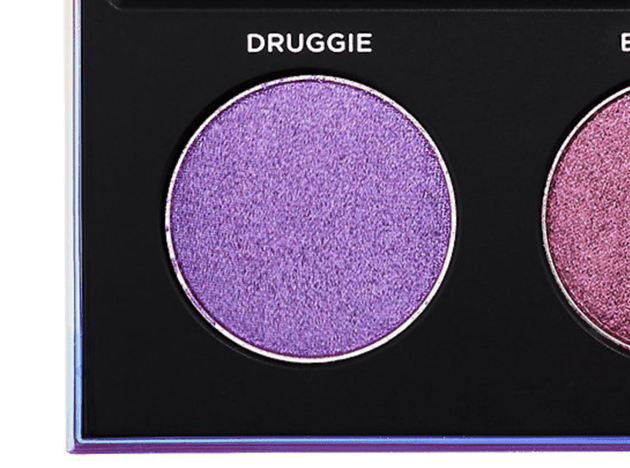 And these are translating into sales. You think everything is going great. But, who is monitoring what people are saying about you and your business? For Part 4 – Develop Your Strategy, click here. For Part 5 – Engage Your Audience, click here. For Part 5B – Bringing it Back to Your Site, click here. For Part 5C – Why Your Company Needs a Blog, click here. 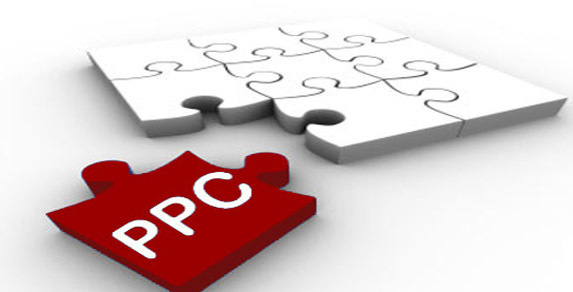 For Part 5D – Pay-Per-Click (PPC), click here. Blogs, Message Boards, Product Ratings… should all be tracked for any negative comments. For small businesses, I suggest you use a Social Media Monitoring (SMM) tool, also known as a listening platform. This allows you to monitor and track mentions of your brand, products and competitors. 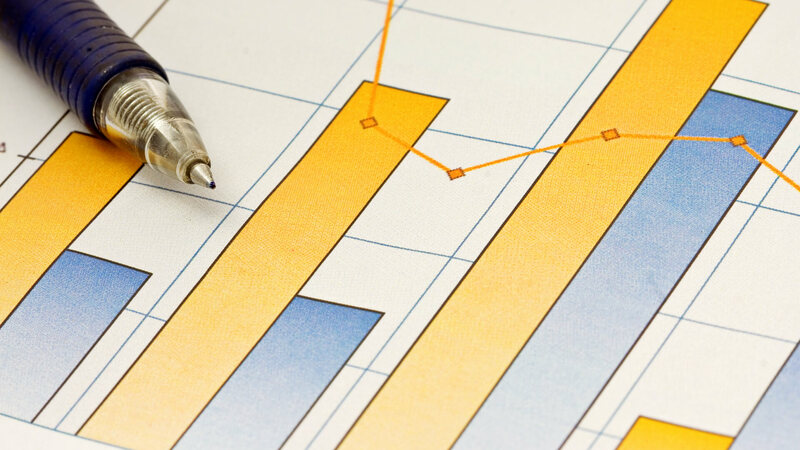 SMM tools provide many different ways to analyze, measure, display and report findings. Since I mentioned search engine rankings in my last blog, I feel I should mention pay-per-click advertising. While not social media, it can be part of your overall digital marketing strategy. Here are tips on conducting a successful (and inexpensive) PPC campaign. PPC refers to advertising that appears on the top and to the right of organic search results. Google, for example, offers Google AdWords. It is designed to display your advertisement based on targeted keywords or phrases. So, if you owned a luggage store, you might have an ad that displays whenever your specialty – lets say computer bags – is entered into Google’s search engine. You then pay Google every time someone clicks on your ad. The beauty of this method of web marketing is that it drives targeted traffic to your website much quicker than normal listings, and that you only pay Google when someone clicks on your ad and visits your website. You determine how much you will pay by placing a bid. Of course, the more popular the keyword, the more competition you have on having your ad at the top of the results. However, you set limits on what you are willing to pay daily. If you go this route, understand it doesn’t always offer the results you may be hoping for. They refer to this heatmap as “banner blindness.” It is a great example of why organic or natural search results are much more effective than banner ads. People barely even look at them. Another interesting heatmap they displayed was how eyes look at typical search results. As you can see on this google example, the top five listings on the page get the majority of eyeballs. The red lines are referred to as the “fold” —which is a term associated with the front page of newspapers. In the digital age, it is the point at which you’d have to scroll down. So, not only is getting on the first page of search results important, getting in the top five is golden. Be specific when choosing keywords and phrases. Again, it is quality over quantity. You may get a ton more clicks by being broad, but what are you selling? Be specific, so you get the right type of click. Send them to landing pages, not your home page. Lets say you see an ad for a particular product and when you click on it, it takes you to their home page and you are left having to search for the exact item you were originally looking for. Most likely, your visitor will hit the back button and go for an easier route. Providing exact landing pages will provide you better odds the customer will stay on your site. Lose the ego when bidding. I suggest you have a budget what you are willing to spend before you start looking at keywords. Maybe it is $25 a day, which is roughly $750 a month and over $9000 a year. If a certain keyword is too expensive, find a Long-Tail keyword, a type of keyword phrase that has at least three, and some times as many as five words in the phrase, which will give you better qualified visitors at a cheaper rate. Google Adwords offers a very detailed way to track the results of your campaigns. Here, you can see how each one of your keywords or phrases are performing and can decide whether to eliminate or change your tactics. This finally brings us to Social Media Networking for Small Business: Part 6 Listen and Respond. Here, we will cover how to figure out if all your efforts are paying off and what to do if they need help. 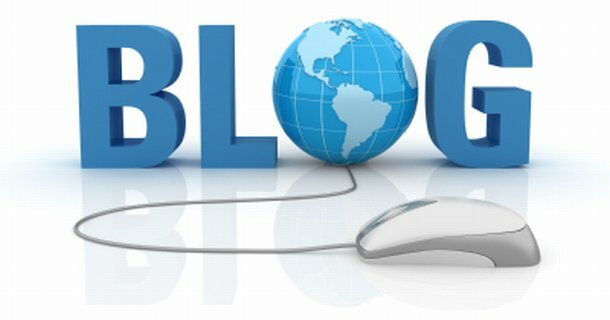 If you don’t know what a Blog is, you are currently on one. Many consider blogs as part of social media and I don’t disagree. However, blogs can be an extremely valuable tool in both push and pull marketing, and your site may be incomplete without one. The number one thing I would add to your website is a company blog. A blog can be a lot of different things, but it is usually an article or editorial by a person familiar with a topic. This is a great example of a “pull” medium. When a customer is seeking information on a subject, a blog is a very useful tool as it normally informs in a very succinct format. 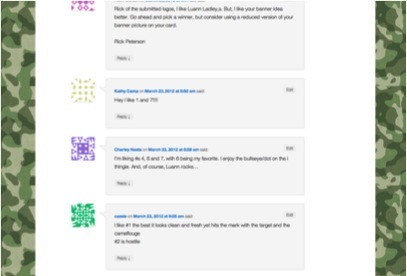 Likewise, the impression the reader usually has is the blogger is an expert in this subject matter. Many companies list their blogs at the top of their website, as it is typically updated regularly and provides fresh content. You’ve set your goals and have targeted, found and engaged your audience on their social media platforms of choice. You’ve directed them back to your own website to really promote your business. Here are some tips to engage visitors once they are on your website. One of the main objectives for small businesses in social media is to direct your audience back to your home site. While your social networks are for informing and interacting, your website is where you can really promote. Here’s a news flash: Businesses today need to have a website. The very basic would be considered a “brochure site,” which provides important information: About the company and/or product, location, hours, contact information, etc. Some businesses do their business online, which is known as e-commerce. These sites offer shopping carts that allow a customer to purchase something online. Whether you have a brochure site or an e-commerce business, engaging your customers on your own website is essential. The people already on your site have expressed interest in either you or your product. Right now, they may be considered a “passive” customer. If you want to turn them into a promoter, you need to engage them. When I had my e-commerce business, I made sure the site offered all the important elements found on a typical brochure site; we had an “about Us” page, we listed our location with a google map link, we listed our hours and contact info. We also had a shopping cart that featured over 10,000 different products at any given time. While we had people visiting weekly to purchase – we had about 100 new products weekly – I wanted to give them a reason to visit the site when it wasn’t new product day.